Saltys Restaurant provides two distinctive atmospheres for your dinning pleasure. 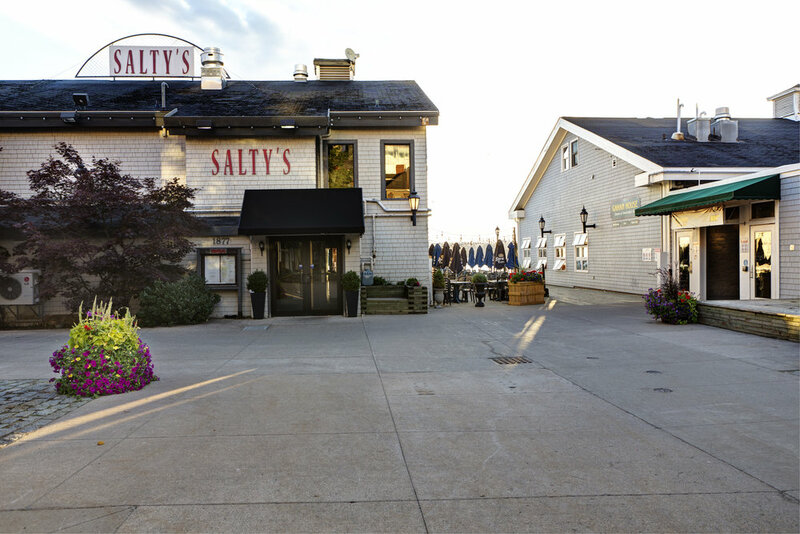 Featuring the culinary expertise of head chef Troy Crawford, Salty’s has a split personality with casual, relaxed dining downstairs and more formal dining upstairs. The city serves as its stunning backdrop, while a menu steeped in nautical tradition and flavour offers fresh seafood. Salty’s functions as the perfect meeting space for a working lunch.